The Thursday Club outfit was pretty funky, but very inexpensive! 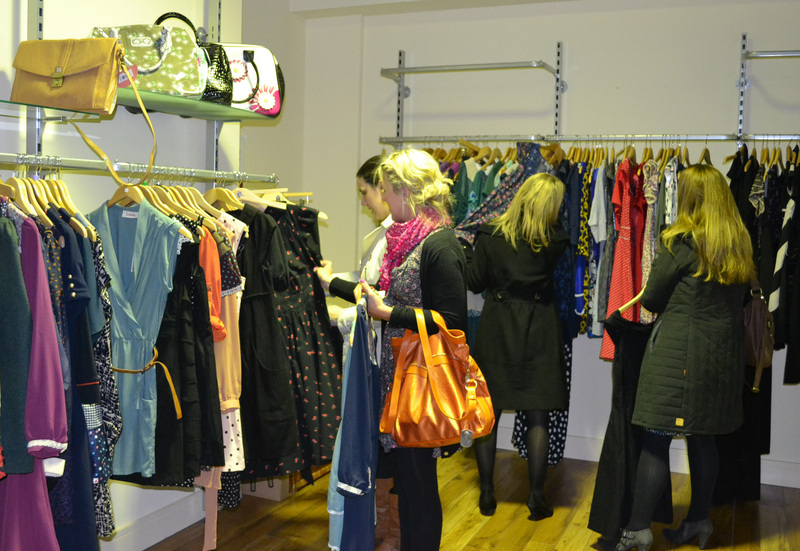 Last week I popped over the mecca that is fashion city to check out the Try and Buy evening being hosted by fabulous Irish online store, RUBY COTTON. 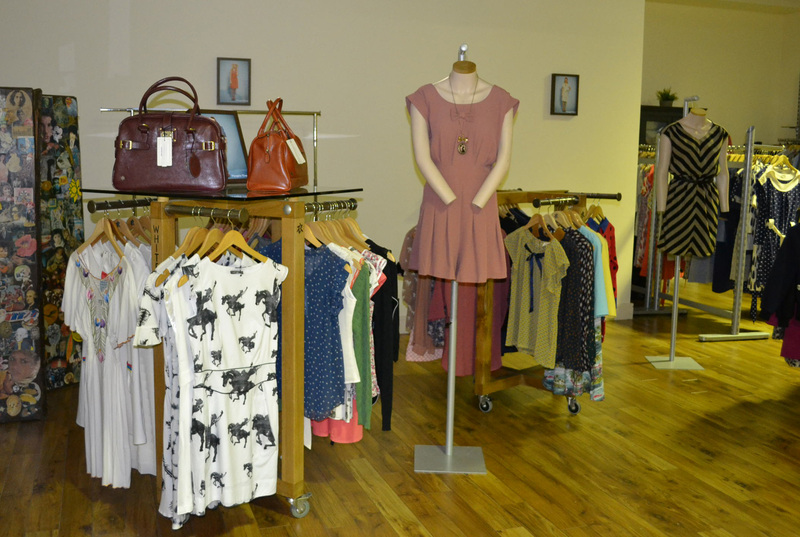 The site has an amazing selection of labels including Soma and Sugar Hill Boutique. I picked up a great Miu Miu inspired horse print mini dress and cardi to match (which I wore on Xpose, yet to air so stay tuned to TV3!). 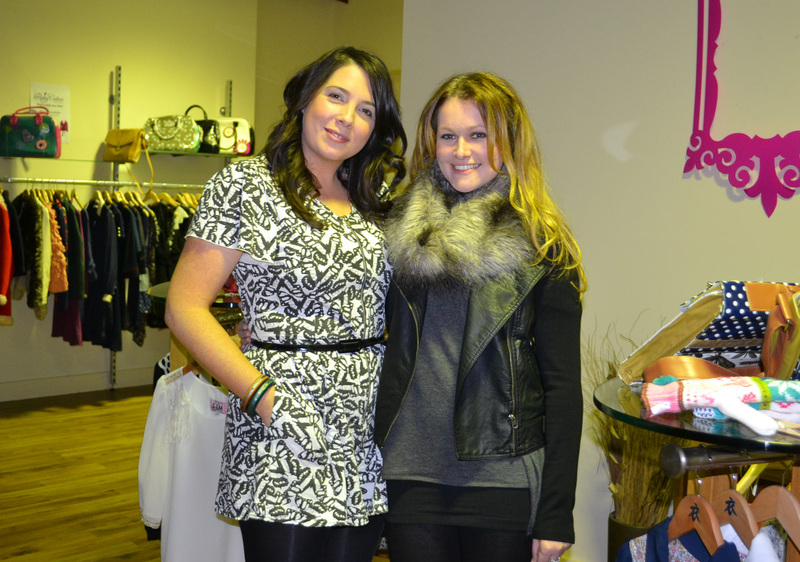 Here are some pics from the evening (including me with owner Laura). I’ll be writing up a full review of the site on www.styleisle.ie later this week! In case you’re wondering, my leatherette jacket in the pic above is from Forever 21 and faux fur snood is from ASOS. What you can’t see in the pic is my FABOOSH thigh high black suede boots which I got in Venice a few years ago and I am so happy to be able to wear them again. Boots are the only good thing about Winter. A few weeks back I met up with the fashionista-in-the-making, Joyce McEvoy, who won a little styling session with me, with thanks to KISS magazine. Now let’s get one thing straight, I have met a lot of people who think they know a lot about fashion, but on this particular day, I spent a few fashion filled hours with a teenager who knows more than the average fashion magazine editor. Being able to define your style, is one thing, but being able to stay true to it is another. Over a hot chocolate in Debenhams, Joyce and I chatted of her influences, (i.e. Blake Lively! 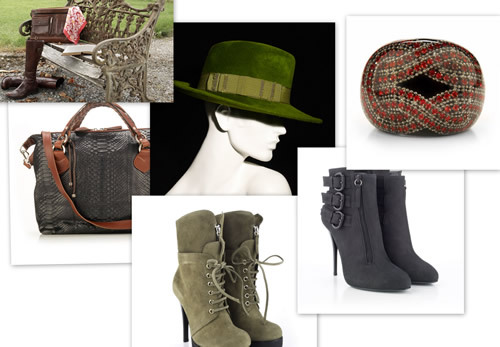 ), trends she likes (cargo pants) and where to find the perfect pair of military inspired boots. To speak the truth, I saw a little of the 15 year old me in this little lady. Obsessed with fashion, making up outfits, reading every fashion magazine in the newsagents, and basically building up knowledge which I knew would come in handy in the future. Whilst wandering about Forever 21, I shared my deepest darkest and safely stored styling secrets with Joyce and we had a go at putting together a young and contemporary look. We ended up with skinny jeans, cotton tee and a really great chunky cardi. Then we added a skirt to the outfit instead of jeans and voila, a whole new more feminine look! I showed Joyce that by pulling at the seam of jeans, you can tell how they will wear and wash. And what to look for when buying shoes (my inner chiropodist getting a rare flirt with society!). I knew she would love Forever 21 and what’s great is that, the store is great for teenagers to mums to the girl in the office. There is something for everyone. If you haven’t checked out my competitions page on www.styleisle.ie, check it out where the prize this month is a €200 voucher for the Luxury Emporium! With amazing designers (including some of my favourites) you will be spoilt for choice! Name two of the jewellery designers on the luxury emporium website! The closing date is extended to 22nd December! Just the first pic but plenty more to come! Wanna see my main blog? Log onto www.styleisle.ie and see what we have to say about style! Articles on all things fashion, news, views, tips, monthly fashion finds, styleisle-con of the month! If fashion is religion, then I'm a believer! Irish Independent – Do ya think I'm spexy? Blau von T (@Blauvon… on We love our shades! Irene on My styling life..
Wanna see something you like?